Partnerships with the leading institutions and companies in France and overseas in the framework of alliances and agreements. Putting into place strategic, mutually beneficial, long-term partnerships. Structuring our activity with major academic or industrial partners in France and internationally, on key themes such as industry of the future. 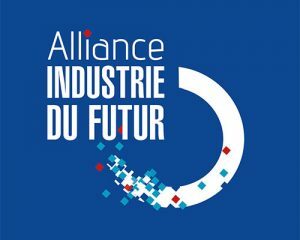 The aim of the Alliance for Industry of the Future is to make France a leader in the new generation of global industry, positioning the country at the heart of the new industrial systems. We have a concrete goal: ensuring that all companies, especially SMEs, can benefit from operational support to make their production tools and overall organization more efficient. In the framework of the partnership between the French Alliance for Industry of the Future and the German Industrie 4.0 platform, IMT and Technische Universität München (TUM) created the Franco-German Academy for Industry of the Future on 27 October 2015. This Academy is creating new content for training for the digital transformation, summer schools, and is primarily working to establish joint research projects. These projects include very technical issues, such as hybrid blockchain architectures, as well as the human and organizational aspects of digitization.